Are you looking to build your first custom bike this year? 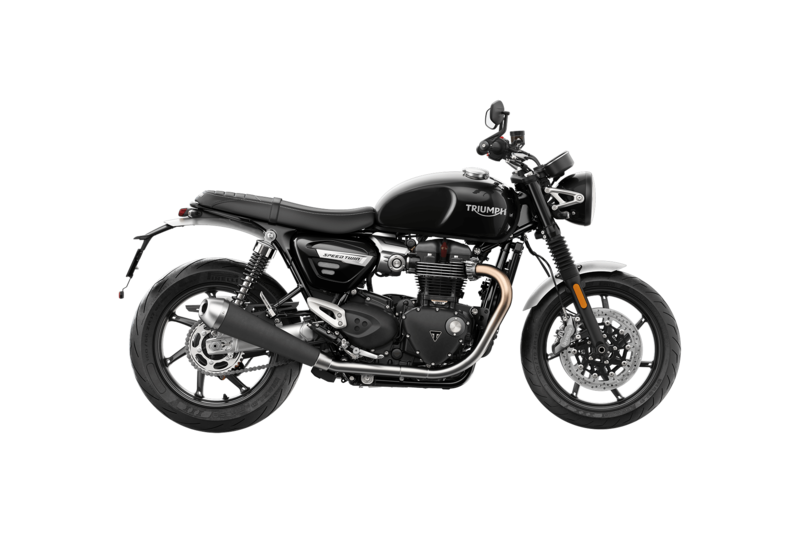 The new 2019 Triumph Bonneville Speed Twin Bike is the most contemporary, fun and accessible motorcycle made by Triumph. The engineers developed the new Speed Twin Bike at Triumph Motors with the spirit of individualism and customization, and it can be yours now! If you are a rider in the greater Portland, Oregon area who is interested in discovering more about the new 2019 Speed Twin, visit us at Latus Motors Triumph today. With a design that takes after the original Bonneville, the new Speed Twin bike has a sharp and refined design - with clean lines and a youthful body look. Plus, the thrilling engine comes to life with the signature 900cc of torque. Schedule a test drive of the new 2019 Triumph Speed Twin bike to see more of its unique beauty. For those riders who are interested in driving off our Gladstone, Oregon lot with the new 2019 Speed Twin can fill out a credit application on our Latus Motors Website. On our website, you can also explore the many other features we have to make purchasing your bike easy - such as our estimate Monthly Payment Calculator and our Loyalty Program.